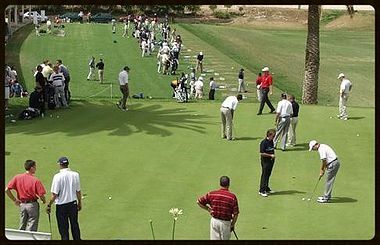 In El Cortijo Country Club has a golf academy with the firm intention of bringing the sport of golf to Gran Canaria society and encourage its practice in family and friendly company. The club works with an academy open to all interested in taking golf lessons.. Led by Octavio Rodríguez, the academy has training plans that are developed to enhance all the factors involved in top level competition: self-confidence, concentration, competition plans. To enroll in our academy you may request all the information in the golf department.